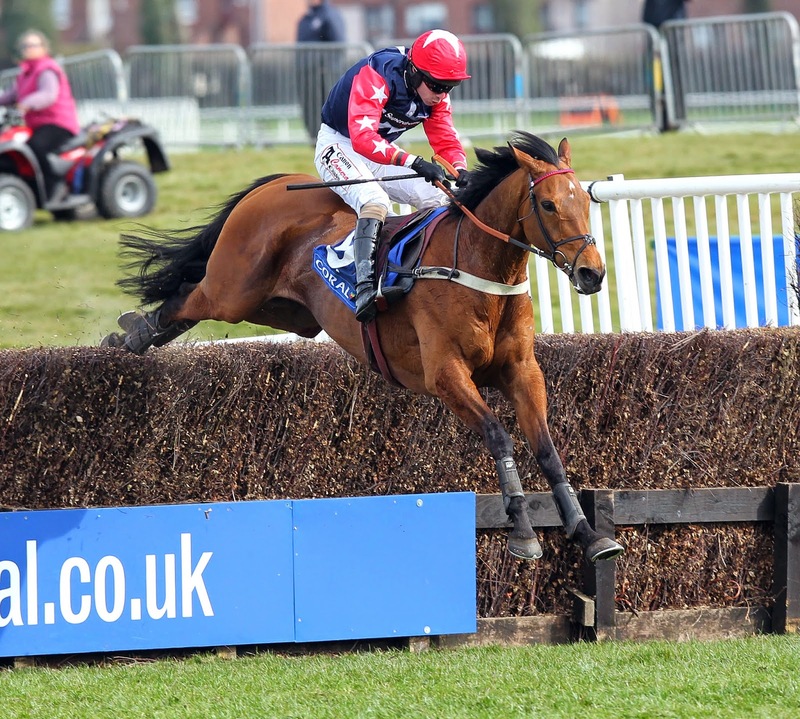 THE build-up continues apace for the 2014 Coral Scottish Grand National Festival at Ayr Racecourse on Friday 11 April and Saturday 12 April. The Saturday is fast heading for a sell-out with the combination of some of the sport’s top horses plus superb entertainment proving popular. The next stage for entries is Monday 7 April when the 88 horses entered for the Coral Scottish Grand National and the 55 currently in the QTS Champion Hurdle will have to decide whether they will stand their ground. And the final declarations for both races will be on Thursday 10 April at 10.00am. Last year's winner Godsmejudge (pictured above) looks like coming north again to defend his crown and become the first horse since Androma in 1985 to complete back to back doubles in Scotland’s richest race. The QTS Scottish Champion Hurdle sees the 55 entries headed by the extremely talented Cheltenham Champion Hurdle second My Tent Or Yours from the all-powerful Nicky Henderson yard which is sure to be a huge crowd puller if running. Large crowds flock to the track to enjoy the racing and also some superb entertainment. After racing on Friday there are two great bands to keep the party in full flow until 8.30pm. In the Ayrshire Suite the fabulous Honey Moons will perform their versions of all-time classic hits, while in the Horseshoe Bar top covers band Dakota will also have the crowd dancing to some fabulous sounds. And after the final race on Saturday at 5.45pm there will be three hours of live music in the Horseshoe Bar from the sensational Gangsters of Groove. And in the Ayrshire Suite top radio disc jockey Colin McArdle will entertain the crowds with chart sounds old and new.